Barn and Travel Trailer Catch Fire, LIVINGSTON, July 10, 2013 - At approximately 7:40 pm on July 10, 2013, a travel trailer fire was reported to the Livingston Volunteer Fire Department. 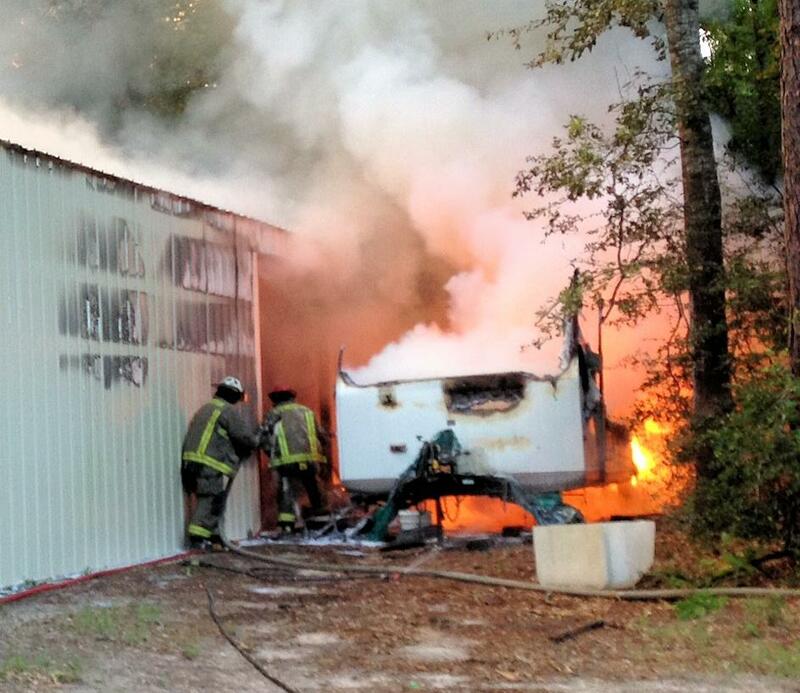 Nine fire fighters and three trucks from Livingston arrived at 1579 Rhett's Run at Southland Plantation to find a travel trailer engulfed in flames and spreading to an adjacent barn. 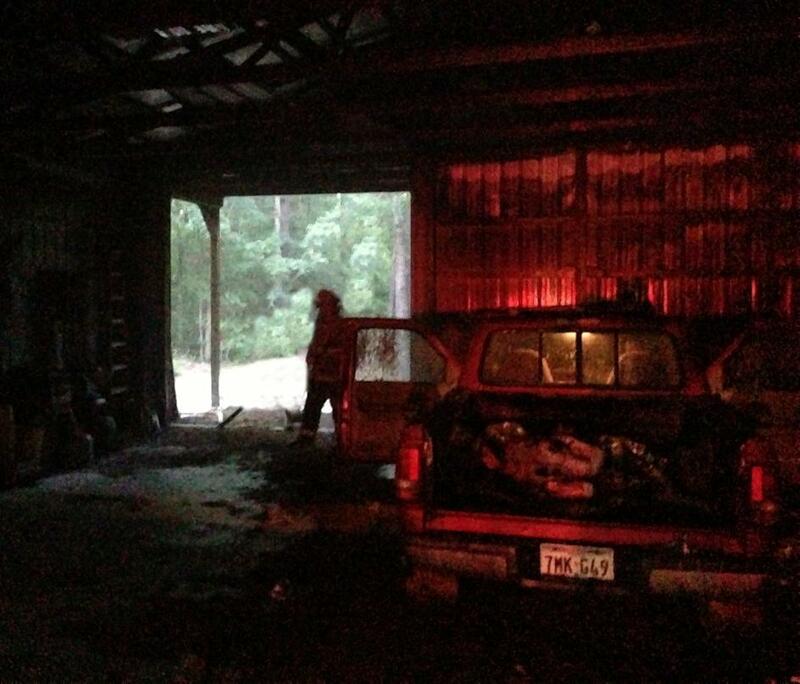 Firemen were able to get the fire out and save the barn from certain destruction. The travel trailer was totaled by the fire while the barn's contents suffered limited damage including a pickup truck that was inside the barn. The property is owned by Jack Triddle of Livingston. 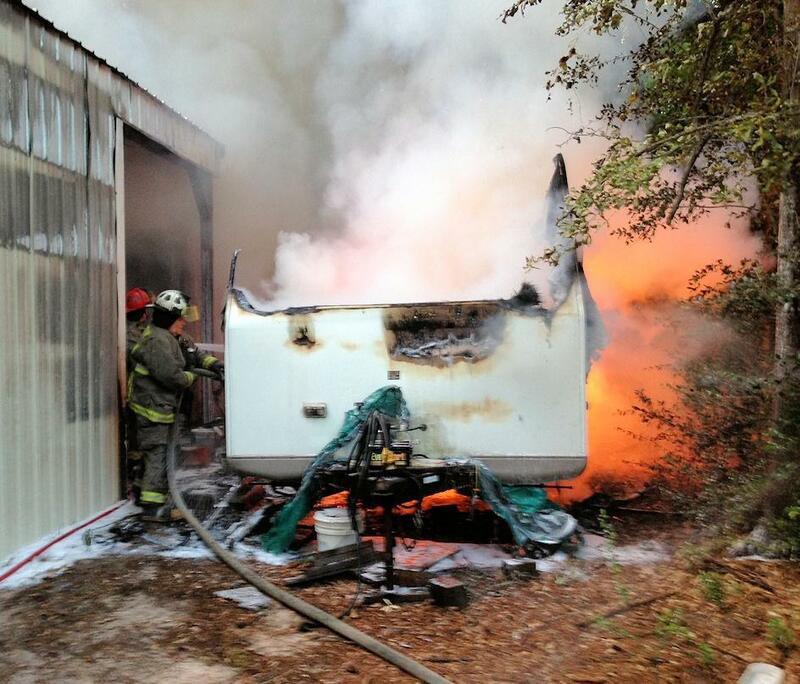 It is not known to PolkCountyToday.com if Triddle's travel trailer and barn were insured.